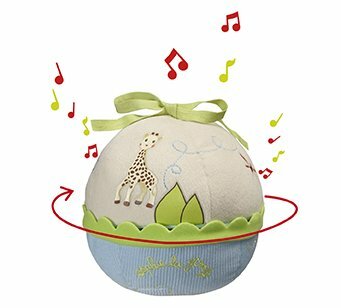 To make your baby's room magical at bedtime! 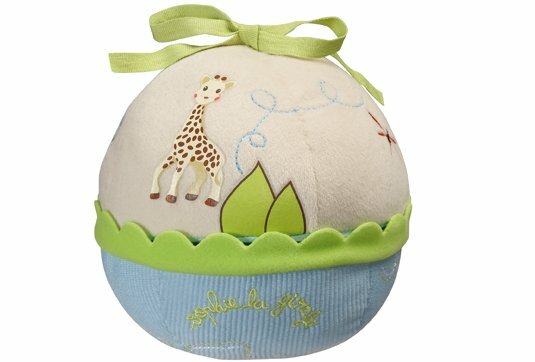 You only have to turn the upper part of the ball to rewind the mechanism and watch Sophie la girafe and her friends rotate to the sound of a sweet melody. Multi-functional, it can be laid flat or hung from a pram or car seat using the ribbon at the top. Works without batteries, made entirely from textiles for greater safety. (Tune length: approx. 2 minutes).